We wonder which direction the Franco-Monaco joint effort will go. 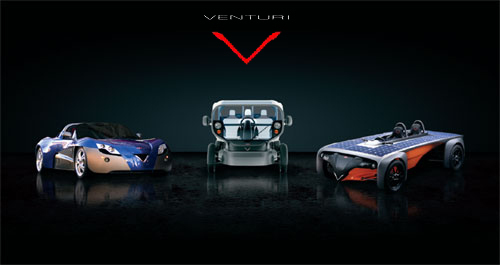 Venturi’s three vehicles, while all electric, share little in terms of aesthetic or functional design. The Fetish is a €297,000 ($422,000) monster of a sportscar with an unfortunate name and carbon fiber body. Production of the vehicle, which makes the Tesla look like a steal, was delayed earlier this year when Venturi said it beefed up the engine — now flexing 300 HP and 380 Nm of torque (280 lb-ft) — enough to make Tesla fanboys wonder. The Fetish’s “exclusive and avant-garde clientele” are hoping for their rides starting in June 2009. Venturi’s second known project is the “energy-autonomous” Eclectic. The Eclectic’s roof sports a personal turbine and is covered in solar panels, a trend we appreciate. The vehicle is also a plug-in, able to smart charge on a presumably clean grid. 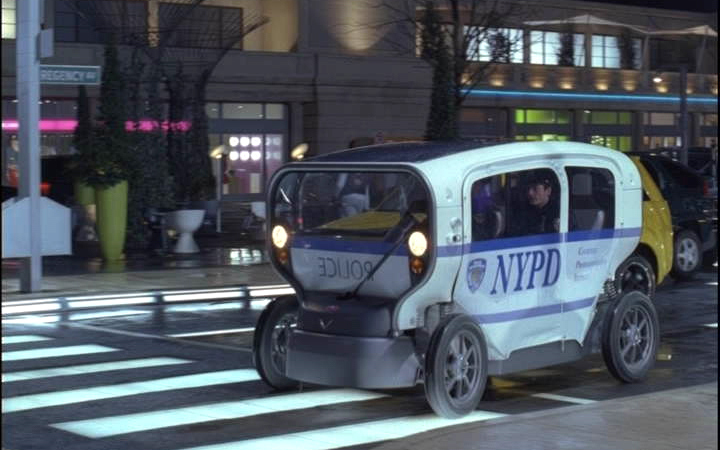 Still a concept car, the Eclectic had its Hollywood premiere as a police car of the future in Babylon A.D., starring Vin Diesel and Gerard Depardieu, pictured below. On Oct. 2 Venturi will release the details on its latest in high-minded electric innovation. Nice post. By the way i heard that in 2010 michelin plans to make some supper tires. Which saves energy and valid longer time then nowday tires, and this tires will be perfect for electorcars. difference. I can hardly wait. I see the environmentla shills are pumping up the hype yet again. Keep it up!